Universities are under increasing scrutiny to provide transparent and accurate graduation reporting for both students and legislators. Even in the game-changing landscape of the information age, most schools find it difficult to map a student’s best path from graduation to career. 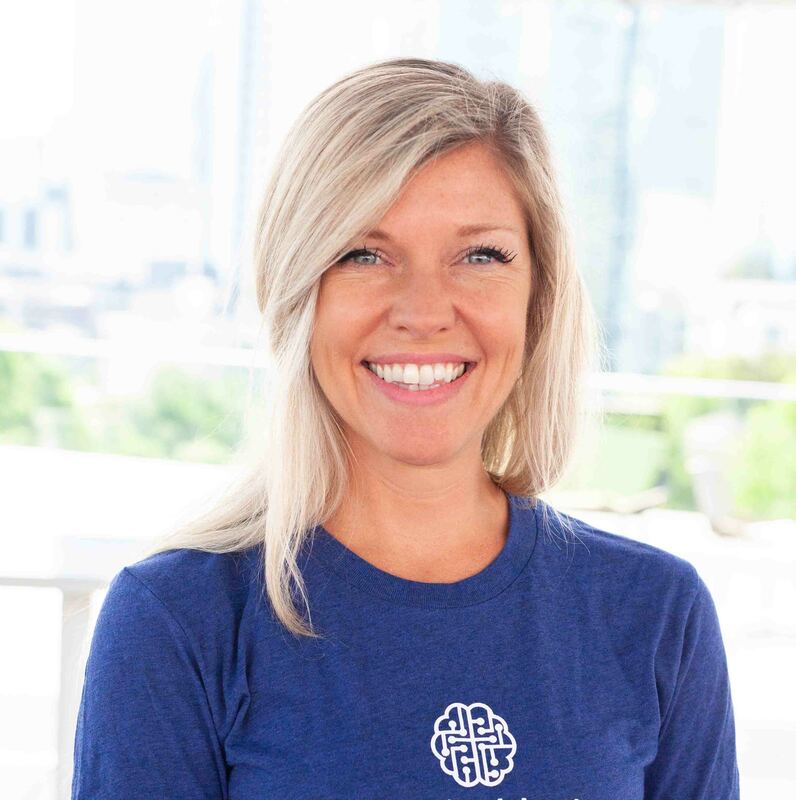 The traditional (and cumbersome) process still involves manual surveys by email, social media and direct telephone outreach usually resulting in low response rates and often inaccurate, self-reported data. All departments from Institutional Research and Career Services to Alumni Relations and Admissions are feeling the pressure. University X needs to measure the success rates of their graduates to improve course offerings, job placement rates and to publicly report the findings. Traditionally, University X has used telephone surveys, email campaigns and social media outreach to persuade alumni to complete surveys about their experiences since graduation. This survey often asks for information like current job, first job, salary, location and industry. The university staff is overwhelmed by the massive scope and difficulty of collecting information on thousands of former students with often incomplete or inaccurate contact information. Now imagine how you'd change it. 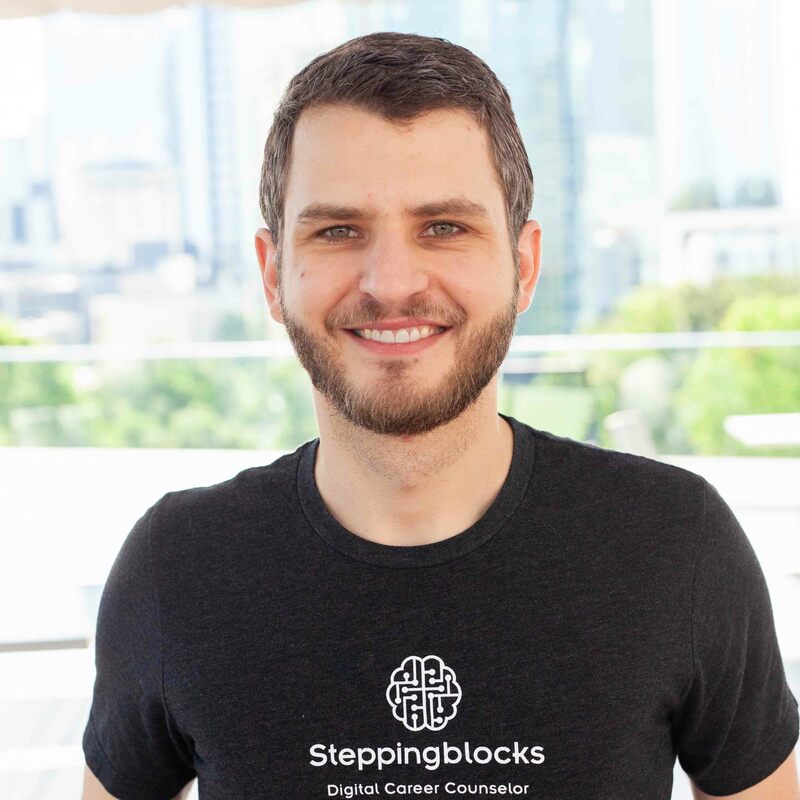 Using a combination of Big Data, Machine Learning and Artificial Intelligence, companies like Steppingblocks in partnership with the National Science Foundation have developed the technology to provide fully interactive reports on the success of your former graduates beyond the first-destination survey, allowing more time for your staff to spend analyzing the results and improving performance using a dataset mapping outcomes 5, 10 and 20 years after graduation. Welcome to the Age of Big Data. By aggregating public and private data sources to help schools analyze and improve graduate outcomes, you'll be able to answer the following questions: Where are my students working? How much do they make? Are they working in their field of study? Did they get another degree? 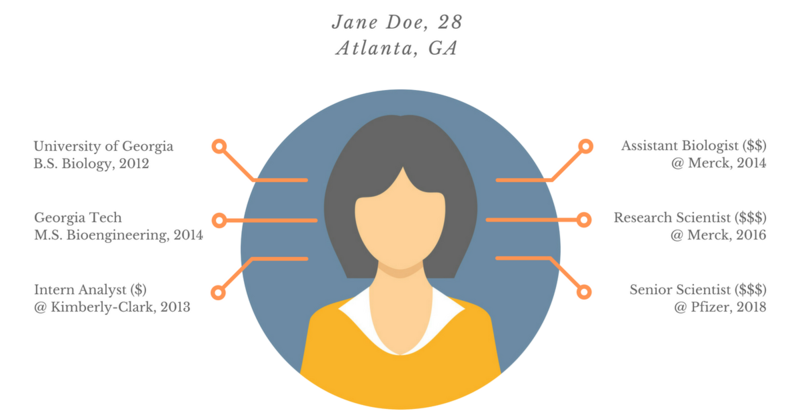 What skills do my successful graduates have? Our dataset contains over 50 million working professionals, and our patented analysis process provides easy-to-understand metrics for your university. To successfully prepare your students for the realities of the working world, you need comprehensive insights about where your students are finding the most success. 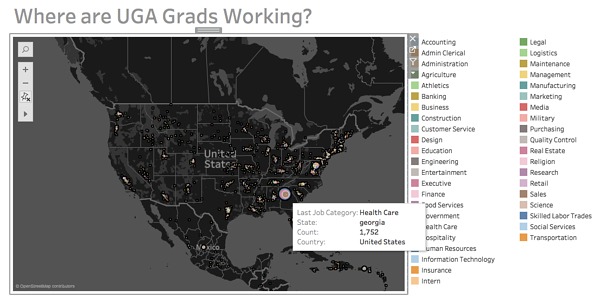 These interactive maps allow real-time options to slice data by major, graduation year, income, industry and more. Notice trends in the marketplace and outlets for improvement at the university level where you can make the most impact. 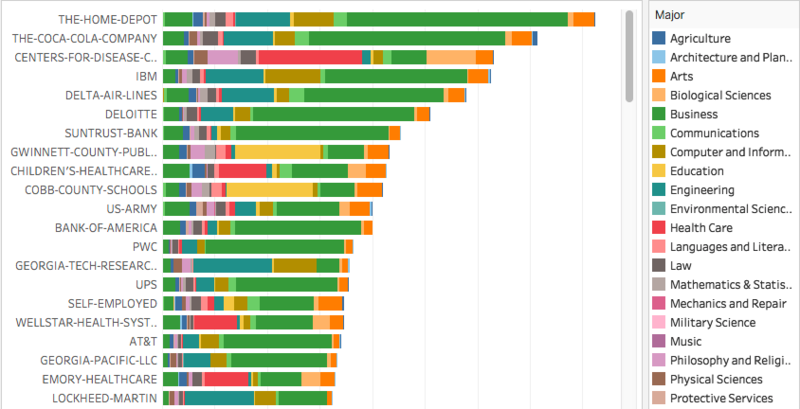 Find your school's top employers and visualize how it changes over time. Slice by first job, last job or any job along your student’s career path. Develop strategic partnerships with prominent companies in your profile for more robust and meaningful career events. 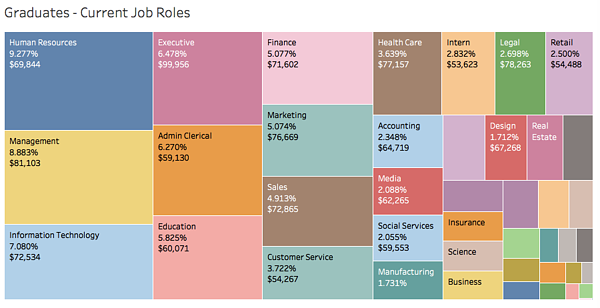 Dynamically filter your data to determine earning potential for specific majors, cohorts and industries. Define the skills training necessary to outpace the competition and increase lifetime earnings for your students. How does your university compare with the competition? Understanding the competitive landscape for your school gives you an advantage over universities operating within your recruitment zone. In this analysis for American Intercontinental University, we see Healthcare is growing, but at a slower pace than the competition. Use your findings to develop a skills training curriculum to offer a more direct pathway to coveted positions with leading companies. Or redesign infrastructure to foster collaboration within the university through a data sharing program promoting cross-learning, and ultimately increasing the chances of getting hired. For the full-story on your graduates, click the link below for your free sample report. We look forward to being your big data partner.